Hey guys! 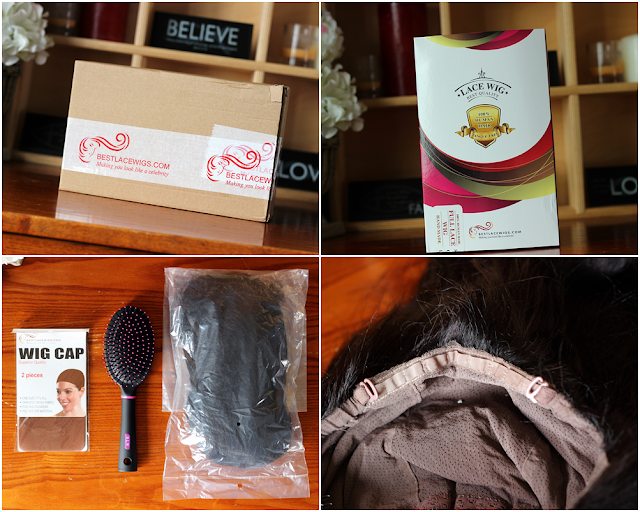 A little while has passed since I've done a wig post and a VERY long time since I've done a wig review for a company other than RPG Show! I made a video a long time ago explaining why I was restricting the amount of companies I would work with for reviews, but now I am trying to release the reigns a little to give my YouTube and Blogger viewers more options (and my honest opinion)! That brings me to this beauty! This full lace, glue-less cap wig is from a company called Best Lace Wigs and I couldn't be more in love! 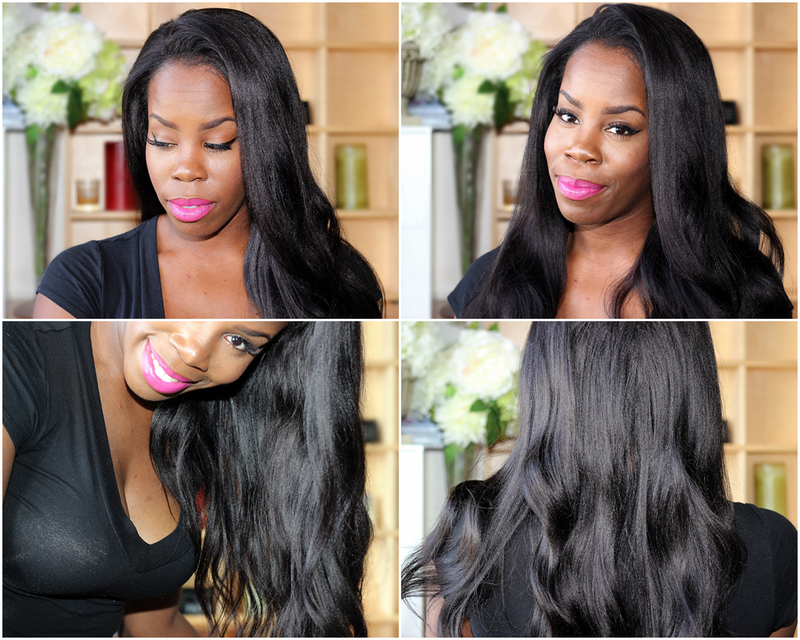 The texture of this hair is phenomenal, almost the exact same texture as African-American hair either blown out or telaxed. It's their style GSW128 in color 1b (dark brown) and 20" of pure gorgeousness! Packaging is awesome arriving in a brown box wrapped in their company branded tape. Enclosed in that is the actual box, which is nice also. Once you pull out the core, you are met by 2 stocking caps, the unit itself inside of a secure bag and a cute black and pink brush for detangling. 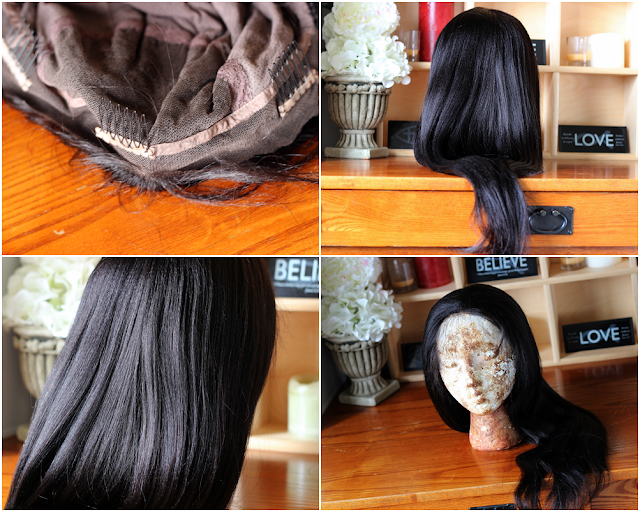 The wig itself has 3 combs (1 on either side and a center one) and adjustable straps in the back. I've already cut the lace from the front and back. Don't let my foam head scare you. She has been through a lot in her short life. Can these issues be fixed? Yes! I am going to take some time out over the next couple weeks to bleach the knots and thin out the front a little bit. 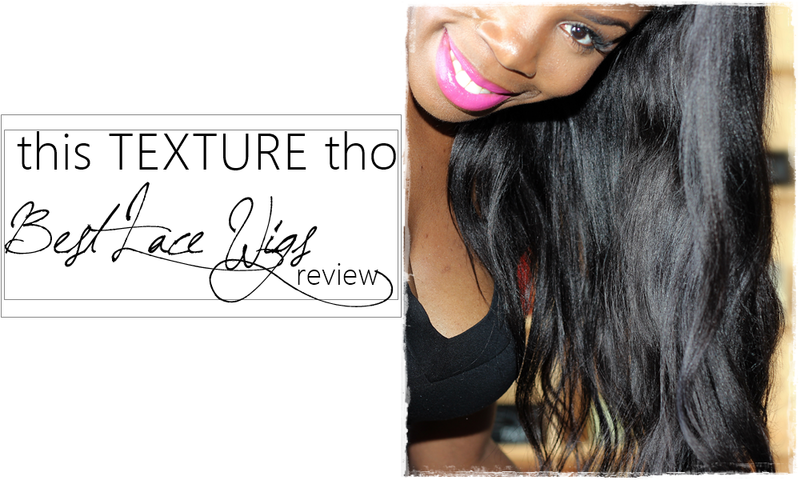 If you guys are in the market for full lace wig, whether it's your first or you're a seasoned pro like moi, check out Best Lace Wigs! Use coupon code 'MS10' to get $10 off on all of their products! I can see this one in heavy rotation, so keep a look out! Until next time.